Prosecutors in Los Angeles are reviewing a historical sexual assault accusation against actor Kevin Spacey, officials have confirmed. More than 30 men have come forward with allegations of sexual misconduct against the Oscar-winning actor in recent months. 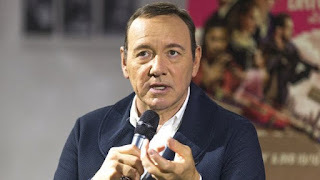 A spokeswoman for Mr Spacey, 58, has declined to comment. The Los Angeles Sheriff's Department said on Wednesday it began investigating the case in December, and presented it to the Los Angeles District Attorney office for review earlier this month. It is unclear if California's statute of limitations on prosecuting criminal sexual assault, which is normally 10 years, would apply.